Indo Cooking classes are most suitable for individual and groups. Our Indian Cooking classes are designed for non Indian nationals who wish to learn the original Indian cooking. 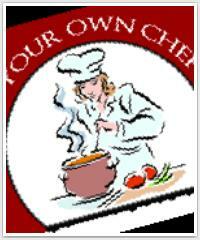 We offer to stay at the cooking Teacher home during the cooking course. The aim of these classes remain to enable beginners to cook on their own using the basic spices available in their home country. Professionals are given help to polish their already existing knowledge and there are guided into the depth of Indian spices and cooking secrets. The ancient cooking secrets are revealed so enrich your real Indian cooking experience. Our cooking classes include numerous demonstration and teaching of the Indian cooking as well as many Question – Answers sessions during the course with our Expert cooking Instructor. Cooking Masala is a unique concept of learning Indian cuisine in Indian way. We just don't teach to cook Indian food we also involve you in Indian culture. In our classes we teach basic Indian food in different style. we include North Indian cuisine, South Indian cuisine, Rajasthani cuisine as well as Daily home recipes.